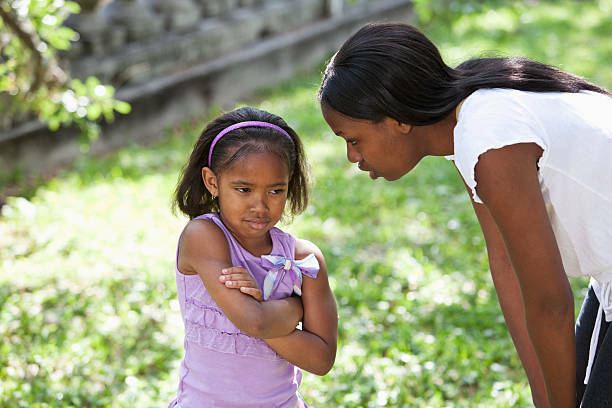 Words can be extremely damaging, and what may seem like an offhanded remark to our children in an annoyed moment can cause serious emotional repercussions for children down the line. Children can often push even “a Saint” to their breaking point. I’ve been absolutely floored by what I’ve heard parents say and do that severely affect their children. It is not an easy task, but we need to make more conscious effort to MIND OUR LANGUAGE with our children. Don’t make them feel little or stupid for sharing or voicing out their ideas that may not be fully “baked” or reasonable yet. They are going to grow up with the unhealthy perception that they can’t share their inner most doubts and thoughts with you and might seek answers from other sources that may not be as trustworthy. Instead say things like ‘Hhmm, let’s talk a bit more on this.” Could it be…? You’re too young to know what you want. As humans, we know and perceive things very accurately and deeply even at a very young age. We do know what we think, feel and want. So, when you tell your child that they don’t know what they want, you make them doubt themselves, and you undermine their belief in themselves, and they begin to question themselves at every turn. Why aren’t you more like your brother/sister? If you’ve had siblings, you probably know exactly what it feels like to be compared to your brother or sister. It’s bad all the way around. It makes them feel like they are not enough, and it negatively affects their self-confidence. Everyone is unique, each with their own strengths and gifts. There are so many other ways to communicate that your child needs to revise his/her behaviour – shaming is not the way to go. Instead of this, I try to talk about how the behaviour hurt someone, or how it’s not appropriate for the situation, or it reveals irresponsibility or a value that you think the child might want to look at more closely. But don’t shame them. Most times we tend to allow our children control our emotions. The truth is that, we are the ones who are ultimately responsible for how we feel. Rather than saying you are making me mad right now, consider words like “I need a break right now because I am getting upset” or “I am angry right now”. 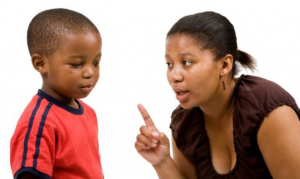 Train yourself to resist the urge of pushing the blame on your child. You can communicate your feelings to your children without placing the burden of cause on them. This is one wrong statement we need to get rid of. The truth is that no one is infallible and being an adult doesn’t make you all right all the time. Words like this can make children believe everything an adult says even if its wrong. It suffices to say that even if an adult is trying to molest them, they would probably assume it’s right because they have grown up believing that every adult must be listened to. Why didn’t you get an A? I am very guilty of this as an African Mama. It is very okay to motivate your child to do more and stretch them to reach their full potentials. However, there is always a way to go about this rather than making them feel not good enough or rubbishing their efforts. How about ‘’oh you scored 85? Interesting, I am sure you are scoring 100 in the next test/exam’’. I made this mistake with my younger son, now he goes about saying how smart he is and because he is so smart, he doesn’t think he should do any more practice sheets. While, this may appear as positive reinforcement but really it has the possibility of turning out the other way. In doing this, we might end up making them think they have reached the zenith and no further smartness is required. Rather than using this word, I try to say ‘’Very good, you can do better’’. My-way-or-the-highway approach cannot work with the 21st Century child. This authoritative way makes children feel like their opinions don’t matter and doesn’t allow them to express their thoughts or concerns. Rather than cutting off the conversation with don’t argue with me, try explaining why you feel a certain way about that thing. You can say, “I know you want my answer to be different, but this is why…” or “I just told you my answer, do you have a question about it?”. This allows the child to present their opinion or get clarification. On a final note, let’s remember that children learn from their parents. And what a parent says during a child’s early years can really leave a lasting impact (good or bad). Let’s aim to leave lasting positive impressions with our words. Share this article with a parent you know that really needs to hear this.